​Pamina (Aug 11): Courtney Sanders (soprano) is thrilled to be visiting Seattle for the first time as she sings with GVAI this summer. She received her BA in music from Yale University, where she performed many roles, including Fox (The Cunning Little Vixen), Venere (La Didone), Miss Pinkerton (The Old Maid and the Thief), and Sandman (Hänsel und Gretel). Courtney also sang with the Yale Glee Club for four years, performing concerts in international venues across South Africa, Cuba, Spain, and Canada. Last November, Courtney performed in the American premiere of Rameau's Sympathy with Victory Hall Opera in her hometown of Charlottesville, VA. This fall, Courtney will be starting her MM in voice at Mannes in NYC. ​Pamina (Aug 12): Marissa Moultrie, soprano, is in her final year of undergraduate study at Pacific Lutheran University in Tacoma, WA, where she is completing her Bachelor of Music in Vocal Performance and her Bachelor of Arts in Anthropology. Marissa was recently seen in PLU Opera productions as Dido (Purcell’s Dido & Aeneas), Suor Angelica (Puccini’s Suor Angelica), Cai Yan (Gregory Youtz’ Cai Yan: Fiery Jade), and Minerva (Offenbach’s Orpheus in the Underworld). Marissa was also seen earlier this summer as Donna Anna in Portland Summer Opera Workshop's production of Don Giovanni. Upcoming engagements include Countess Almaviva in the J-Term 2019 PLU Opera Production of Le Nozze di Figaro, as well as Fiordeligi in Mozart’s Cosí Fan Tutte in Bloomington, Indiana (June 2019). This fall, Marissa will be singing Bach with a newly founded chamber music ensemble in Key Peninsula and Gig Harbor, as well as working on graduate school applications in opera performance. 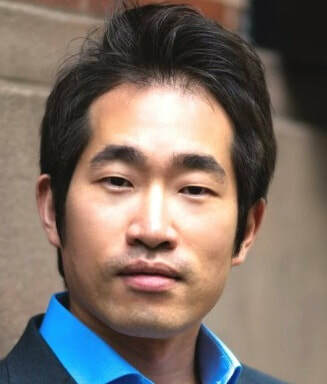 Tamino: Hyunho Cho made his European opera debut as Don José in Carmen with Les Maîtres Sonneurs in Toulouse, France. Further roles include Ferrando in Così fan tutte and Don Basilio in Le nozze di Figaro at the Mannes School of Music. During his time at Mannes, he had extensive operatic scene work in roles including Nemorino (L'elisir d'amore), Fritz Kobus (L’amico Fritz), Alfredo (La Traviata), Poliuto (Poliuto), Duca di Mantova (Rigoletto), Werther (Werther), Don José (Carmen), and Samson (Samson et Dalila). Mr. Cho’s concert work has taken him to important venues such as the Opera House of Seoul Arts Center, National Art Center of Korea, Gerald Lynch Theater, Carnegie Hall, and the Alaska Center of Performing Arts. He was the tenor soloist in the Bruckner Te Deum with Queensboro Symphony Orchestra in 2017 and has performed as the tenor soloist in Handel’s Messiah numerous times. Mr. Cho received 2nd Prize in the Annapolis Opera Annual Vocal Competition in 2018. He is also first prize winner of both the Youngsan-Yangjae Music Competition (2014) and Music Education News Competition (2014) in South Korea. Papageno: ​Baritone Conrad Schmechel is thrilled to be performing with GVAI! He received his bachelor of music from Oklahoma City University and is currently resides in New York City. Recent roles include Papageno (Manhattan Opera Studio), Killian in Der Freischutz (Bronx Opera) and Giorgio in Sondheim’s Passion (Utopia Opera). Upcoming roles include Guglielmo in Cosi Fan Tutte and Marcello in La Boheme (New York Opera Forum). Conrad studies with Lenora Eve and is coached by Yelena Kurdina. ​First Lady/First Spirit: A native of Denver, Colorado, Ashlyn Herd was accepted into the voice program at Denver School of the Arts in 2007, where she studied with Brian Stinar as a mezzo. She attended Oberlin’s Summer Voice Academy in 2013, and in 2014 she moved to San Francisco to get her Bachelor’s degree at SFCM, and began studying with Sylvia Anderson. With Mrs. Anderson, they discovered she was a soprano in early 2016 and has since severely shifted her repertoire. Ashlyn had her opera debut as Harry in Albert Herring (Britten). She sang in the opera chorus of L'elisir d’amore (Donizetti) and Don Giovanni (Mozart), and in 2016 starred as Miles in Turn of the Screw (Britten). In 2017 she spent six weeks in Graz, Austria studying German Lieder at the AIMS summer intensive program. In the fall Ashlyn is thrilled to be attending graduate school at the Cleveland Institute of Music. In her free time, Ashlyn loves climbing mountains above 14,000 feet, running 10ks, and petting as many animals as she can. She is very happy to have her soprano debut as the First Lady in Mozart’s Die Zauberflöte. 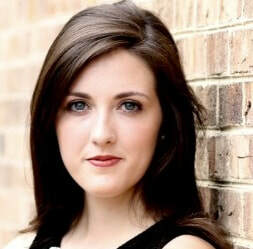 Second Lady/Second Spirit: ​Gwen Paker is a soprano from Wisconsin, currently studying at the Eastman School of Music. In addition to performing with GVAI, Gwen was a part of Oberlin In Italy in 2016. There, she performed Carolina in an Il Matrimonio Segreto scene and as a Cercatrice and chorus member in Puccini’s Suor Angelica. Gwen is also involved backstage with Eastman Opera Theatre, working with Bekah Carey as a member of the costume crew. Beyond opera, Gwen loves singing in church settings and has become a sought after soloist for weddings, funerals, and other holiday events. In Rochester, Gwen uses this experience to excel as the Choral Scholar at Christ Church. Third Lady/Third Spirit: ​Erykka Ximone considers herself as a progressive classical singer, seeking new ways to stretch beyond the boundaries of her own artistic expression through operatic performance. She is driven and committed to creating a different and exhilarating experience for lovers of opera. She graduated in the spring of 2018 with a BM from the San Francisco Conservatory of Music, under the guidance of Sylvia Anderson. In the spring of 2016, she sang the roles of the Badessa in Puccini’s Suor Angelica and the Sorceress from Purcell’s Dido and Aeneas. She really loves cats. Queen of the Night (Aug 11): ​Soprano Caroline Spaeth is a native New Englander who maintains a very active performance schedule on stage and in recital. She was most recently seen as Lilli Vanessi/Kate in Cole Porter's Kiss Me, Kate in Cambridge, MA. In July 2017, she made her European debut as Gilda in Verdi's Rigoletto in Assisi, Italy during their annual performing arts festival. Other notable engagements include Miss Silverpeal in The Impresario, Second Woman/Spirit in Dido and Aeneas, and Anne Egerman in A Little Night Music. Oratorio credits include Ludmila in Dvorak's St. Ludmila, and Soprano Soloist in Bach’s Magnificat, Mozart’s Requiem and Davidde Penitente. When not performing, she teaches voice and piano to over 30 private students in the Greater Boston area, and is an avid amateur baker. Queen of the Night (Aug 12): ​Stephanie Pfundt hails from Petersburg Alaska. Going into her senior year at Pacific Lutheran University, Stephanie plans to audition to graduate schools this fall. This past year (2017-2018) Ms. Pfundt excelled in performing coloratura repertoire, including the infamous Doll Song from Les Contes D'Hoffmann with Seattle Opera Academy, and the Silver Aria from The Ballad of Baby Doe at Pacific Lutheran University. She also sang the role of 2nd Woman in PLU’s production of Dido and Aeneas. She is excited to make her Queen of the Night debut! Sarastro: ​Bass-baritone Dorian McCall has been described as a very compelling singing actor with a warm, even baritone and a rich and flexible voice, recognized as having great style, musically and physically, on stage and is a 2018 MONC Encouragement Award recipient, 2018 Naftzger Vocal Division winner, 2017 Career Bridges Encouragement Grant recipient as well as 2ndalternate to represent the Texoma region at the 2018 NATSAA competition. In the current season, Mr. McCall debuted with the Painted Sky Opera as Angelotti in Tosca, Raimondo in Lucia di Lammermoor with OU Opera, and Mozart’s Figaro with the Aquilon Music Festival. He was also featured as a concert soloist for Monteverdi’s Selva morale e spiritual of 1640 with OU’s Collegium Musicum, Haydn’s Lord Nelson Mass and Mozart’s Vesperae Solemnes with the Oklahoma Master Chorale, Handel’s Messiah with Lamar University Choirs, Saint-Saëns’ Christmas Oratorio with Westminster Orchestra, and Verdi’s Requiem with the Marvin Orchestra. 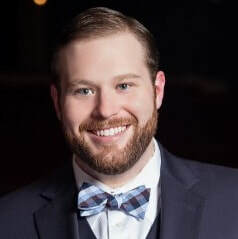 ​Monostatos/ First Man in Armor: Tenor Brett Sprague has been lauded for his mellifluous voice and thrilling dramatic interpretations throughout the United States. His operatic repertoire exceeds thirty roles, spanning the gamut of musical styles and periods. Equally comfortable in traditional and modern repertoire, Mr. Sprague has impressed audiences and critics with his portrayal of classic and cutting edge characters. A versatile artist, Mr. Sprague also enjoys his time on the concert stage, performing as a soloist across North America in venues such as Carnegie Hall, Ellie Caulkins Opera House, The Festival Internacional Alfonso Ortiz Tirado, and the Historic Amphitheatre at the Chautauqua Institution. This season, Mr. Sprague will make two debuts in Germany as he begins his work in Europe. Papagena (Aug 11): ​Soprano Ashley Shalna is approaching her final year at the University of Florida as a vocal performance major in the studio of Dr. Elizabeth Graham. She is currently a choral scholar at First Presbyterian Church of Gainesville and a recipient of the Rich Holley Memorial Scholarship at UF’s School of Music. Through UF Opera, she has performed in the ensemble La Boheme (2016), performed the role of Bertha in UF’s production of Il barbiere di Siviglia (2018), and will perform the role of Gretel this fall in Hansel and Gretel. Ashley is excited to sing as Papagena in GVAI’s production of Die Zauberflöte during her first visit to the west coast! ​Papagena (Aug 12): Cassandra Willock is a soprano from Shoreline, Washington. In 2017 she graduated from Pacific Lutheran University with a BM in Vocal Performance and an Economics Minor. This past year, Cassandra could be seen as Jou-Jou in Tacoma Opera’s The Merry Widow and as Rose Maurrant in PLU’s summer workshop production of Street Scene. She also has been working with Seattle Opera in their education programs as a teaching assistant and is excited to continue this work next year! ​Speaker/ Second Man in Armor: Luke Norvell, baritone, is a rising sophomore at The Master's University. Recently seen as Frank Maurrant in Street Scene at Pacific Lutheran University Summer Opera Workshop, Luke is excited to perform in his second opera. Recent competition accolades include a semifinal appearance in the Classical Singers competition and a first place finish at the NATS Los Angeles competition. A former player himself, he enjoys watching baseball in his spare time.